Mick Hill has recently produced a worthy book on the English Prize Ring. For those of you who don't know Mick, he has long held an interest in boxing, and in particular, the days of bare-knuckle fighting. Mick has produced a 200-page book on the prominent boxers of the eighteenth and nineteenth centuries and he has ensured that many of the lesser-known names of this period are included, in the form of mini-biographies. There are nearly 80 pugilists featured within the book and some of them will be new to even the most fervent follower of boxing during the bare-knuckle age. Two of the first three names included within the book, for instance, are Tom Pipes and Bill Gretting, and it is a welcome change to see the stories of men such as these recorded. As well as producing a page on each boxer that describes their achievements, Mick has also taken the trouble to produce their fighting record, and virtually all of them also have an illustration. Another welcome addition is the inclusion of the nickname, and so many of these boxers were well-known by their nickname. As an example, the exploits of Jeremy Massey aka "The Stunted Lifeguardsman" can be followed on page 184 and, as well as the biographical details relating to his career, which are spread across two pages, one can also see full details of his fight record. 18 contests are listed for the period between 1842 and 1856 and one will find that Massey was once proclaimed the "Best in the land at Featherweight". It is a nice little book and would be a welcome addition to the bookshelves of a boxing bibliophile. The price is £13.99. 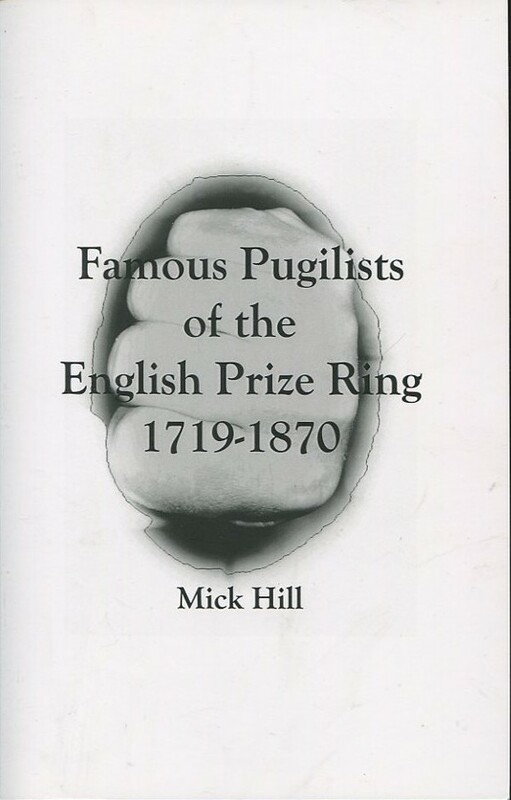 To purchase a copy please order from http://www.fast-print.net/bookshop/1268/famous-pugilists-of-the-english-prize-ring or Amazon. To contact Mick direct please email bare-fists45@virginmedia.com. Famous Pugilists of the English Prize Ring which is good for all those players who belong to Boxing. You like to put the link which have a famous book and this all about the boxing game. So those players who are junior level must read this book to have clear direction of game. Any how, i want to get rushessay review but this is good source and we should have such kind of sources.